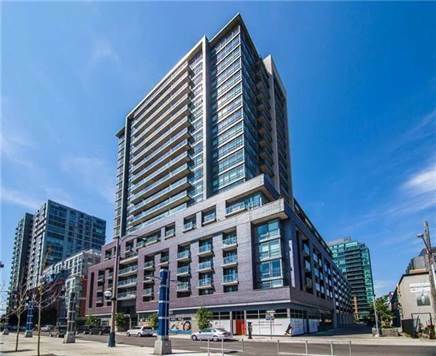 Garage: "Owned, Undergrnd, Parking Space(s): 276, P3"
Welcome To Epic On Triangle Park At Trendy West Queen West! The Functional 1Br Unit Is Perfect Option For Investors And End Users Alike! Move In Ready: Laminate Flooring Throughout And Freshly Painted! The Building Is Steps Away From Public Transit, Restaurants, Bars, Banks, Shops, Grocery Stores, Parks, Etc! Condo Offer 24/7 Concierge, Fitness Facilities, Party Room. ▪ Extra Features: Ensuite Laundry, Patio ▪ S/S Fridge, S/S Stove, S/S Dishwasher, S/S Built In Microwave/Hood Range, Combo Unit. Stacked Washer/Dryer, All Eif's & Existing Window Coverings. Great Building Amenities: Concierge, Gym, Rooftop Terrace, Party Room, Billiards & More!.